A former Federal Court judge has rejected submissions that a ruling in favour of a worker injured by opioid medication encourages a culture of litigiousness and sickness, but recommended that consideration be given to amending South Australia's Return to Work Act if the man's claim is upheld in upcoming proceedings. Injured workers whose conditions aren't considered "serious", but who are unable to work, will have uncapped access to weekly benefits and medical expenses under a narrative test, if recommendations from a South Australian parliamentary inquiry are adopted. > Safe Work Australia amendments pass Senate. South Australia will introduce its own legislation to eliminate "rogue" labour-hire companies, after an investigation into workers' comp premiums found hundreds of millions of dollars in remuneration discrepancies. 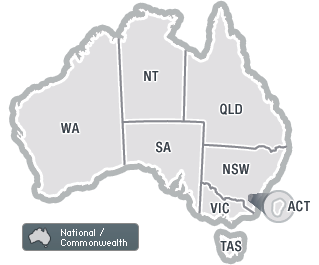 > Workers' compensation overhaul defeated in SA. > SAET to deal with WHS prosecutions soon. Injured workers should be subjected to "qualitative tests" to ensure they aren't denied ongoing compensation if they're incapacitated but don't meet the serious injury threshold, an inquiry into South Australia's RTW scheme has heard. > Supreme Court to rule on RTW transitional provisions. > "Fit notes" now mandatory in SA. A parliamentary inquiry is calling for comments on the "overly restrictive" impairment threshold for ongoing workers' comp entitlements in South Australia, as well as transitional provisions that punish some injured workers trying to return to work.